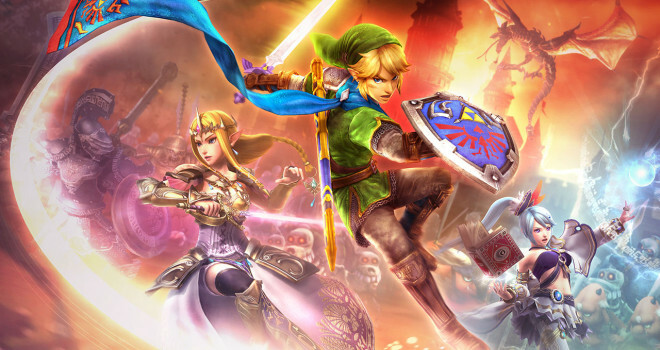 Tecmo Koei has confirmed two more characters for Hyrule Warriors. 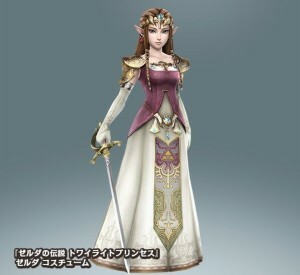 In an issue of Famitsu, it was revealed that Agitha from Twilight Princess would be a playable character. 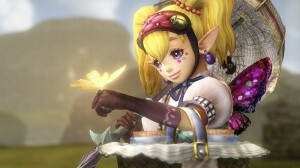 She fights with her parasol and summons bugs to attack enemies. 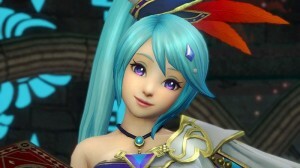 A brand new character named, Lana was introduced as well. 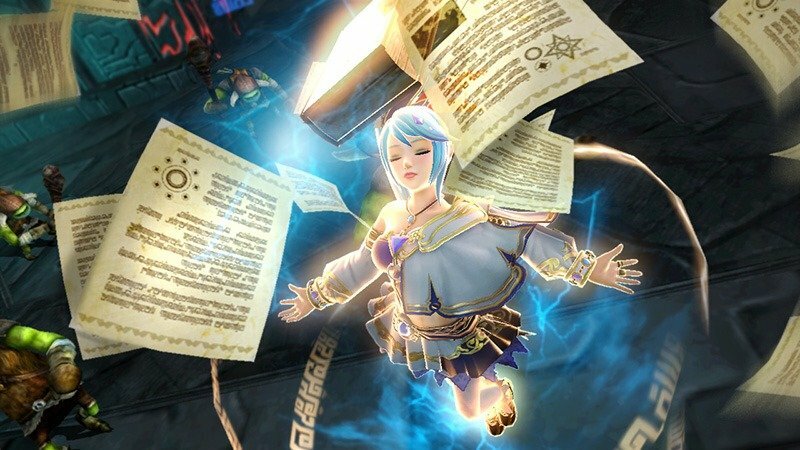 She’s the White Witch of Hyrule and she uses a magical book. 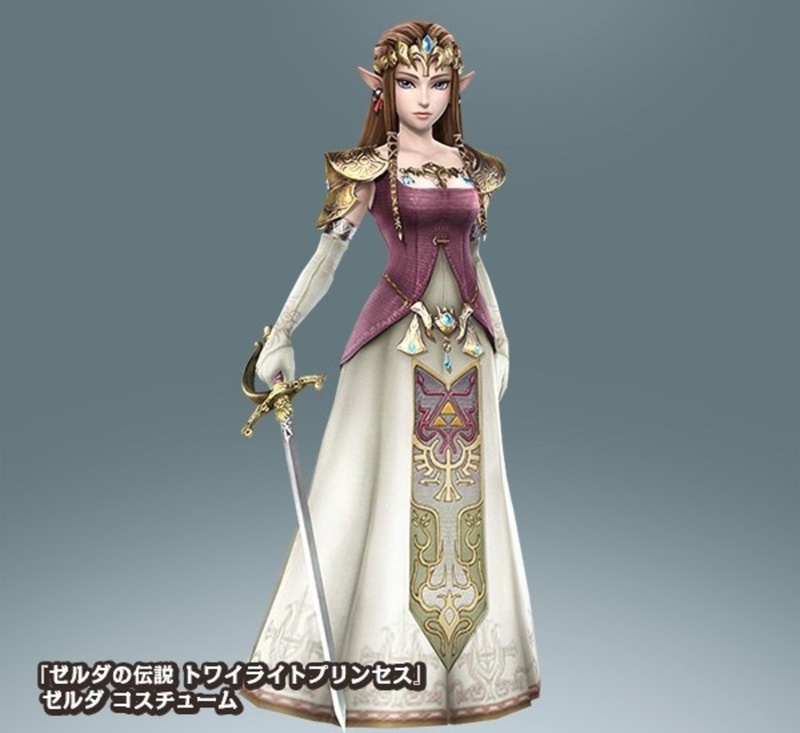 They also revealed Twilight Princess costume DLC. These costumes will come in three different sets. The standard edition is called “Courage” and comes with three costumes. 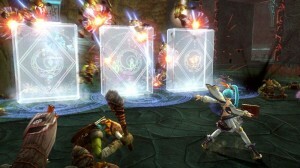 A premium box will include the “Courage” set as well as a “Wisdom” set adding three more costumes. The “Treasure Box” will include both sets mentioned before, as well as the “Power” set with two more costumes. 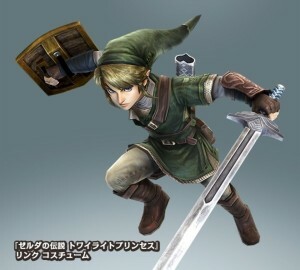 Link and Zelda’s costumes seen above are part of the “Courage” set. This DLC has yet to be confirmed for North America or Europe, but I’d say it’s more than likely we’ll get them. Every time I see this game it looks better and better.